Back in June 2012, our Future Media release zoned in on the ultimate question for media educators in Higher Education. Is there an alternative? We looked at a couple of the big names out there. If you want a career in social media – just Google it! After all, they are the experts in reputation, promotion, buzz metrics and analysis. And you can learn all you need to know by signing up to their universities. After a simple process of online learning, tutorials and testing, you’ll gain Google accreditation and become highly employable. And you can study at your own pace, in your own time, around your work or studies. Many call it the University of Google. Others are aligning with universities to add academic credibility, but the principle is still the same. 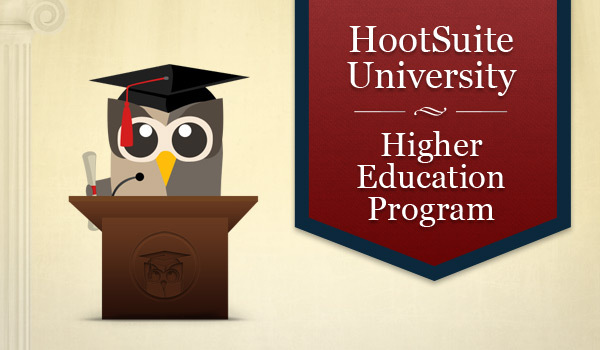 Partnering with New York’s Syracuse University, Hoot Suite is a leading platform for managing social media that claims ‘You can learn all you need to be an expert.’ And the price to study online at its university? $21 a month. It’s clear that a traditionally structured course in social media will be out of date before it’s delivered. Second Life, Twitter and MySpace have risen or fallen (or both) in the blink of an eye. It’s time for new thinking. Online courses? Lectures by practitioners? Weekend boot camps? Watch this space!